Reliable are delighted to be awarded the Thames Tideway East contract for civils labour provision. 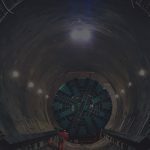 This now means that we are providing our experienced operatives on all three sections of one of the biggest infrastructure projects in Europe - the 25km long Thames Tideway Tunnel. 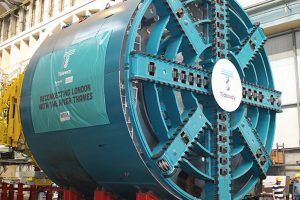 The ‘super sewer’ is the largest undertaken by the UK water industry to date. 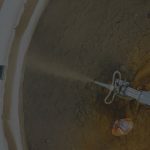 The project is estimated to employ about 9,000 people, directly and indirectly, the project’s broader social and economic potential is not to be under-estimated. Through close liaison with the education sector and wider construction industry, the project will contribute to unlocking a vast wealth of as yet untapped, home-grown talent that becomes well qualified to perform similar work elsewhere. A first step has been to prescribe that one in every 50 jobs on site is held by apprentice, which should see between 280 and 400 apprenticeships being completed on the project. In an industry that has long been dominated by men, the project is making positive steps in encouraging more involvement of women by having a target of gender parity on the project by the end of construction in 2023. The project’s ‘returnship’ programme, whilst open to all, is particularly aimed at helping women, who are more likely to have a career break, to return to the industry. Reliable are currently in close discussions with our supply chain partners establishing their programme of works and how best we can prepare for all skills requirements going forward. Its an exciting time for us and all involved in the whole Thames Tideway Project.